The brochures listed below are available as PDFs, which you can download and print. If you would like us to mail you free hard copies of any of our brochures or informational materials, we are happy to do so. To order hard copies, please complete the Sinas Dramis Law Firm Brochures Request Form. For more than 20 Years, the Sinas Dramis Law Firm has compiled and made available to the Michigan medical community complimentary copies of this booklet. 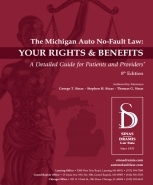 The purpose of the booklet is to offer patients and providers useful information about the extensive rights and benefits available under Michigan’s auto no-fault law, so those rights and benefits are protected during dealings with insurance companies. 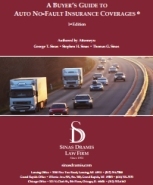 The Sinas Dramis Law Firm makes available this brochure as a way to help you determine whether your automobile insurance adequately protects you and your family. With this brochure, you can make the right decisions about your insurance needs. The No-Fault system in Michigan can be a complicated set of laws to understand. 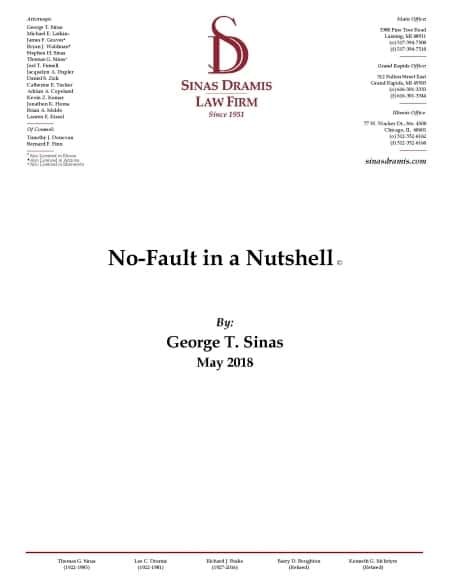 No-fault expert, George Sinas, created this simple yet comprehensive tool to help people understand their no-fault policy and answer some of the most common questions we hear about this area of law. Michigan’s no-fault law can be confusing for motorcycle owners, operators and passengers. 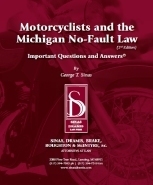 The purpose of this booklet is to explain the basic operations of Michigan’s auto no-fault law as it applies to motorcyclists, and to answer some frequently asked questions. As of 2012, Michigan motorcycle operators and passengers may ride without wearing helmets. However, the right to ride without a helmet is subject to certain rules. 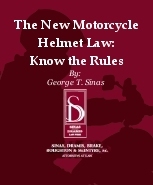 This booklet summarizes the law and what motorcyclists need to know. 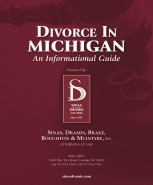 The Sinas Dramis Law Firm offers this guide as a tool to help answer general questions about divorce proceedings and other domestic relations issues. It is not intended to answer specific questions about a particular case, as every case is different.